Software applications of every kind and purpose need to get tested across various devices and operating systems to ensure performance, accessibility, responsiveness, functionality, and even security. For this very reason, enterprises and development teams need to create suitable test environments to ensure comprehensive testing and determine the expected results. How can this be feasible with limitations of resources and cost-monitored projects? Service Virtualization (SV) has been endorsed especially for Test-driven development (TDD), as it can provide frequent easy access to components and environments that are required in the software development cycle. Service Virtualization is implemented to simulate the behaviour of software components and eliminate all kinds of dependencies for any development and testing purposes. These kind of dependencies and constraints occur in an environment where there are interdependent components and the application under test (AUT) is either still being developed, monitored by a third party, has multiple access points, doesn’t have full access to the testing infrastructure, or involves added costs for any particular testing requirements. It is a never-ending debate that SV just emulates the behaviour of the particular component, however, it has been observed that it enables developers and testers to conduct end-to-end evaluation of the application. 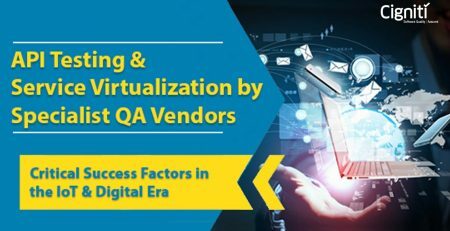 At the same time, it doesn’t virtualize the entire system, it effectively virtualizes the specified fragments of dependent behaviour that is required for undertaking a particular testing task. This facilitates the required application logic that developers and testers can leverage rather than putting the testing activity on hold for the actual testing environments and components. For instance, if a task involves testing the application on a particular database, then only the same is emulated in a test environment instead of getting all the data up in the system. This is the way the application interacts with the database and the required behaviour is emulated. The SQL queries are sent to the database and the required results are returned to the application. Service Virtualization is seen as a cost-effective and logical option for businesses that need extensive application testing. Actual environment involves setting up devices, network capacities, system configurations, and much more to bring the testing to speed. However, with SV and Network Virtualization the costs go down and testing is done at speed, where time is not spent on setting up the required environment. It is merely emulated to bring the impact of the real-world scenario. Many experts suggest that actual devices and test scenarios give better results and much more credible output. At the same time, there is an undying need for striking a balance between speed and quality. SV is an effective solution for businesses that need to get their applications up on diverse platforms and devices within stringent timelines and help accelerate the testing cycle. Test-driven development is a software development process that applies short and very short development cycles. In the process, the developer puts down a failing automated test case that determines an expected improvement or functionality. Following this, only a minimal quantum of code passes the automated tests, resulting in refactoring of the new code that passes the required standards. In short, what TDD does is: Add a test – execute all the tests and check for failures – write a code – run the tests – refactor the code – repeat. 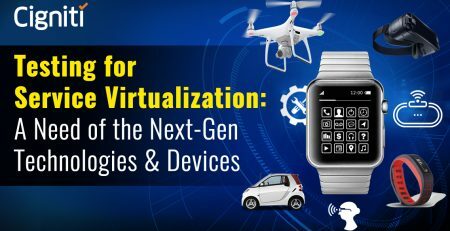 Service Virtualization has been practiced for years, and has been a preferred practice by many software testers. Many organizations have even deployed SV tools to implement these practices for their development needs. It helps testers to avoid delays, and provides them a direct and effective control over the tests environments even while there are multiple dependencies. 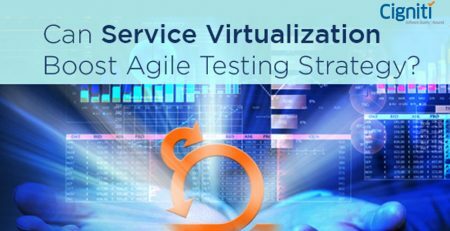 In a Test-driven Development scenario, Service Virtualization brings relevance and provides the needed environment for frequent testing and code development. As applications get more and more complex, there is a need to test every fragment of the software against varied scenarios. Every feature has to be tested to ensure functionality and performance. Service Virtualization is implemented to emulate the required database, network settings, and even system configurations for testing the application. This helps in cutting down the time, efforts, and costs. Frequent test automation has to be recurring to ensure that the results are authentic, and the credibility of the results can be obtained only when the relevant test environment is created and managed. For instance, it is a humungous effort to test an ecommerce site and bring it to speed across various devices and operating systems. It involves constant testing and releases across multiple testing environments. Service Virtualization is, in this case, the best suited approach for launching the site within a short timeline and at an effective cost structure. It is a perfect strategy to be considered for Test-driven Development teams, where it is important to expedite the production schedule with a drilled down focus on finding bugs with the API at the system interface level instead of waiting till the app goes into production. Moreover, by implementing SV, developers get into a better position to authenticate the integration process when compared to other modes of testing and validation. User experience can be achieved only when all fragments of the application work synchronously and are tested continuously. SV with test-driven development approach helps to ensure that every code is flawlessly developed. Particularly, the testing is done at every level rather than waiting for the entire application to get ready. One of the key highlights of SV is that it can be implemented at any level or juncture in the application development process. For instance, with short manual unit tests, functional tests, or Performance/Load tests. There is no need to leverage SV for testing the entire application. This works for TDD, as the tests are shorter and frequent. As mentioned earlier, SV brings tremendous cost-effectiveness, specially, when companies do not have the resources to fuel the required components for developers and testers. It is particularly useful in a scenario where the development teams have to test constantly against dependent third-party components such as Oracle, Salesforce, or any kind of CRM or ERP. It works for applications that need maximum third-party interface, such as a financial service app or a banking app. At Cigniti we offer Enterprise-wide Service Virtualization Adoption Strategy after performing a detailed Service Virtualization Assessment followed by Planning and Solutions. We assist you in Virtualization Tool Feasibility & ROI Analysis and also deliver Virtual Services Development and Maintenance. Connect with us to build the right Service Virtualization strategy for your testing needs.